Volume 1, No. 11 takes a quick look at the basics of circles, and how they can help you and your horse during training. 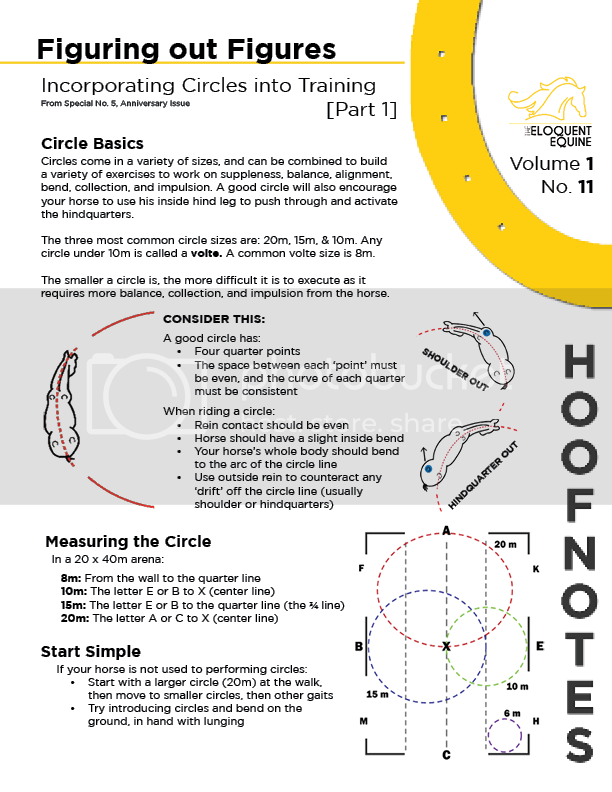 This HoofNote is based on a larger article on incorporating figures into training, featured in Special No. 5, Anniversary Issue.